Wheat is a strategic product which is the main nutritional source for our country and for all of the countries in the world. Total 2.6 million hectares of farm land is available in Konya, of which approximately 700.000 hectares is used for wheat farming. Our region meets about 10% of Turkey's wheat production and 20% of certified wheat seed production. There are two ways of increasing yield and quality in our country. The first is to produce high yield and high quality varieties and the second is to use appropriate growing techniques. Turkish Grain Board made innovation in 2011 wheat procurement strategy. It adopted protein based procurement system with procurement group and elevation change. Bread wheat was decreased to 4 procurement groups instead of 6 procurement groups. Products will be stored according to their quality during procurement. Additional price is given to the producer according to protein. While 1-3% additional price is given for 12% and more protein, 1-2% lower price is given for 11.5% and less protein. Products with a protein content below 10.5% will be considered as feed. Seed one of primary indispensable inputs of seed plant production. If appropriate variety of wheat is not selected in irrigable conditions and ecologies where rainfall is abundant, 50% decrease occurs in expected yield and 20-30% yield decrease occurs in dry farming system. 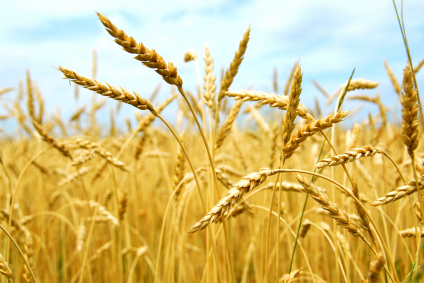 In our country, high quality new plant varieties and quality seeds have great share in increase in wheat production. Seed was seen as a means of production only at the beginning and then, good variety and good seed concepts were brought to agenda after relationship of seed with product, yield and quality was understood. After necessary characteristics of good seed and benefits to be provided by the use of these seeds were understood, number of varieties which were registered in field crops or for which production permission was received, increased gradually. While majority of seeds used in our country every year consists of seeds that farmers separate from their productions and provide from each other or local seed providers, certificated seeds used as controlled or licensed are supplied by Pankobirlik, Agricultural Credit Cooperative, especially TİGEM (Directorate General of Agricultural Enterprises) and private seed companies whose number increases every year. Click to download relevant section of the book titled “Farmer’s Guide to Plant Production”. Click to download the book titled “Farmer’s Guide to Plant Production”.